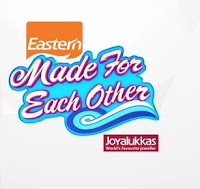 Winners of Made for each other reality show on Malayalam channel Mahavil Manorama will be declared soon in a grand finale starting from November 20 to 22, 2015. The show has reached its final stage with seven couples. The mega reality show Made For Each Other was launched on 11 May 2015. The show is directed by Satheesh and features 12 newly married couple from diverse background across Kerala. Actress Abhirami is the anchor of the show. The show will complete in 100 Episodes. The final task round starts on 12 November 2015. The shooting of most of the show and tasks were carried out mostly in Malaysia. The winning couple will get a grand prize money of 1 Crore Indian Rupees. The show is sponsored by Easter Curry Powder brand and Joy Alukkas Jewellers. The grand finale of the show will be aired from 20 to 22 November 2015 at 08.00 PM. 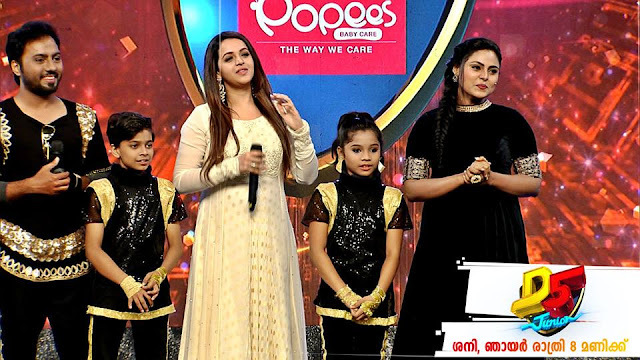 The show is completely shot in Malaysia in a unique format never seen before on Malayalam Television. Finalists of the show are equally talented. But who will win the title ? 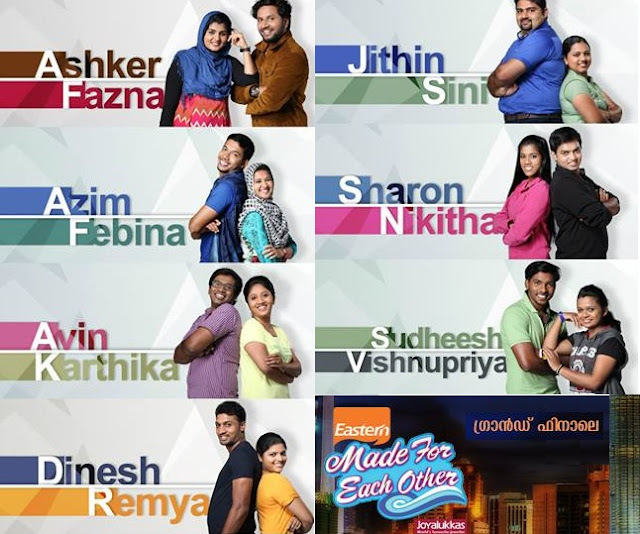 Update: Ashker Ali Khan and his wife Fazna Palleriyan are the title winners of the first season of Made for each other show on Mazhavil Manorama. 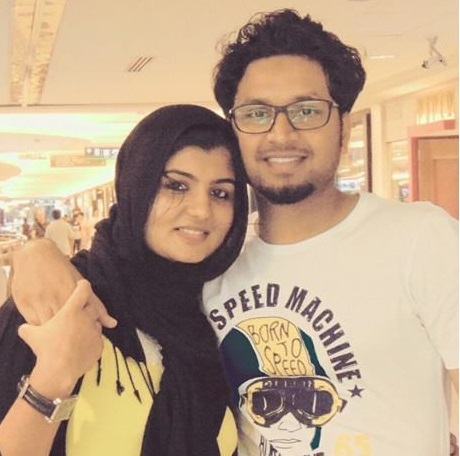 Ashakar (25 year) is from Thodupuzha and is currently working as emigration executive in Fragomen infopark, Fazna (24 yrs) is from Wayanad, Bathery is a software engineer at Technopark. They got a flat worth 1 Crore as Prize.